A pet is truly your best friend. It doesn’t matter if your pet has wings, paws, or lives in a small tank; as long as you love that little buddy of yours, you know how much it means to you. I personally know someone who couldn’t eat his food properly after the death of his chameleon; he mourned for more than four days and even after that, it took him almost a month to completely get out of the trauma. To some people it may seem silly, but to anyone who has owned and lost a pet, we can sympathize for how he felt. Sympathizing with others, even if it’s as simple as reading over positive pet loss quotes, can be a very healing way to deal with the pain of losing a pet. This is one of my favorite pet loss quotes. For all those who considered their pets more than mere animals – we bring our pets into our family, they aren’t just store products. Touch, a simple word that we all can understand quickly. Whether it’s the touch of your hand petting your dog or cat’s fur, the brush of your ferret’s whiskers, the wet kiss they would un-expectantly swipe across your face, or the gentle nudge of their nose against your hand. These are just a few of the touch sensory movements that we have experienced with our pets. This gift of touch benefits both our pets and us. After a long day at work, you come home exhausted and in need of some unwinding. Now is your time to sit, relax and try to regain some peace in your life. Your pet, the happiest living creature in your home has waited all day to see you again. Jumping into your lap, the feel of your pet’s soft fur brings instant comfort. The wet kisses dispel the day’s challenges and their wet cold nose digging into the crook of our neck. You are home and you are loved unconditionally. For pet owners, pet cremation can be a difficult decision; however it offers a good number of potential benefits. If you are considering pet cremation, you may be wondering how much it costs, if there are any factors that may affect the price, and if it’s actually the best option for you. Desired kind of cremation – you can opt for private, communal, or partitioned. Other special services, like home pick up. The loss of a dog can be a very devastating event for lots of people. Only those who have spent years taking care of their dogs and who love them dearly can understand how big a loss this is. After losing your dog you are supposed to feel remorse, grief, and all those other bad feelings associated with pet loss. However, what we need to understand is that in all such cases – no matter what the source of the loss is – the best strategy is to accept what has happened, endure the pain, and find a way to move on. Why? Because we are not left with any other option. Remember, moving on doesn’t mean that you’re forgetting about your pet, but that you’re learning to live happily again (just as they would want you to). Getting over the loss is important and required. A few simple tips given below will help you in handling your emotions and moving on. When grieving the loss of a beloved pet, the thought of giving your heart to another animal may seem wrong. Even though the love of a pet can bring immense joy, sometimes it’s just too soon to invite another pet into space so recently occupied by your four-legged friend. While this feeling is totally normal for most grieving pet owners, it’s important to remember that healing often comes by giving. One of the great ways to overcome your pain and bring peace to your soul is volunteering at an animal shelter. After all, no one understands the value of an animal’s life like those who went through losing one. 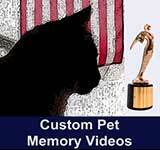 With the decline in the use of art in death, pet memorial art has not been very prominent in recent history. Fortunately, this beautiful way of celebrating life for pets and for people seems to be making a return. The parting of ways between you and those you love as they pass is always a difficult time for all involved. To some, celebrating the life of the deceased through memorial art is a way to help bring closure and balance. Looking through history one can see the imprint of death in the art of many cultures, be it the artwork of Charon, crossing the river of the dead on Funerary vases from the 5th and 4th century BC, to the elaborate funeral rites of the Toraja’s of central Sulawesi. While this article is here to help you learn how to get over the loss of a pet, you’ll quickly learn that it isn’t something you can just immediately “get over”. Whether you’re trying to cope, or want to help someone else, this can get you started on the right path. Brand new, a blog to share some thoughts and ideas about dealing with the loss of a pet. 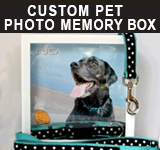 ILovedMyPet.com is proud to be the #1 online pet memorial site for over 16 years. Visit this blog often for updates.